I read that Roberts' PSU visit didn't go great, and his announcement date has been set for April 21. Feeling good about this one! Why didn't it go great? Usually pretty hard to mess things up!! Hopefully he is N!! 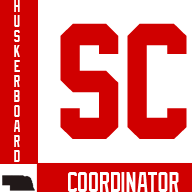 Blackshirts! Why not be the best? Two CB's for the Huskers today. It looks promising! Choo choo, m-f&#39;rs! Let's keep this recruiting momentum going! 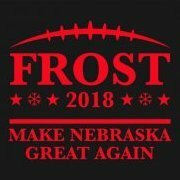 Moved my vote from PSU to Nebraska. Pass me a cup of Kool-Aid. I heard they threw urine bombs on the recruits and were chanting San-dus-ky. Oh that silly State College. Another CB from National writer Bartow for DONU. Another CB from Steve Wiltfong, 247's director of recruiting. Wiltfong has won 247's crystal ball total points contest thing every year and averages somewhere around 88% accuracy with his CB picks. Yep. These are the CBs, if you a going to, pay attention to. Really excited about this kid. Hoping we can land him. Where did people hear/see it written his visit to PSU went poorly? Across other message boards. I do believe it was originally put out there by a national guy though. I don't think the true vibe is that the visit was "poor" though. I think it was more like Penn State felt it was going to be a visit that sealed the deal, but it didn't quite go as planned. I did see a photo of him at the game though and he wasn't wearing anything Penn State. I know this isn't a big deal because it happens all the time. I do however think that if he was planning on committing to them on Saturday, he would've been more excited to be there and probably sporting some PSU gear. I think every single guy at our SG was wearing Husker garb. Pretty cool to see. Yep. Enjoyed himself but wasn't really into it. Yep, since his visit, 9 straight CBs for Nebraska. I'm feeling pretty good about this. Wondering what his time line for wanting to announce is??? Usually I think a group of CBs like that means a kid is close to announcing. Are you guessing or stating? Ten CB picks for NU in a row now over the past day or so. The last four have been guys switching their picks from PSU to NU. This is all you need to know. Welcome to Nebraska, Avery! 2 CBs for PSU yesterday. Not surprising. His committing this month. He is and going to the PSU spring game over ours. Add those up and you get a PSU commit IMO. Welp. I was wrong. And damn happy about it! you still have time to change your pick. It's hilarious to think his PSU visit swung in our favor. You would almost have to go out of your way to mess that up. Then again, this is Penn State we're talking about. Anyone know what time big dog is committing tomorrow? After he commits, we should be at #17 in the team rankings on 247. We will have 7 commits with an average rating of .8853. That is good for second in the Big Ten just ahead of Michigan. Avery will be the second highest rated recruit in the class so far. 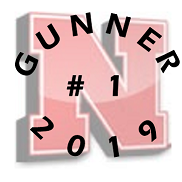 Tomorrow well might be a very good day in Husker recruiting. I may be mistaken but I believe they would actually be 3rd behind PSU and OSU. Yes, that's what I'm looking at. The actual class rankings is influenced by number of recruits which can be skewed. I just wanted to look at the quality of recruits we have. FYI...if you are just looking at normal class rankings, after his commit we will be 5th in the Big Ten. Bray also paid Avery a visit today. 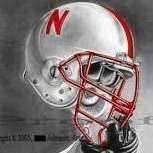 Great to have the best LB in the country (he should be rated that way in my view) joinging Husker Nation tomorrow! Outstanding. It blows me away how good recruits want to go to PSU. Franklin is a snake oil salesman. He can sell the school, get kids to come there, but he is a terrible coach. How many guys actually get better under him? Not sure what recruits are looking at, but i'd wanna be coached up and get better. I dont see Franklin being at PSU for more than a couple more years b/c hes not a good enough coach to get what is needed out of his players to win enough and be kept around. My vote can be bought. Any takers? What are Robert's strengths that make you like him so much? Imagine if we all had that optimism. 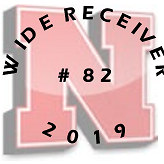 When I think of 84HuskerLaw, I envision him living in a Utopian world, where the grass isn't greener on the other side and Superman donned a N on his chest. hmmmm.....you are correct. Missed that one.